“This book provides rich insights into the lives of migrants in Greece, portraying them not as victims or hustlers but people. Fouskas’ analysis of the impact of insecurity and deregulation on the Nigerian community has important lessons for all those interested in labour organising, migration and work across the European Union. Readers will see street vendors with a new appreciation of their lives and struggles after reading this fascinating study.” – Reviewed by Bridget Anderson, Professor of Migration and Citizenship, Deputy Director at the Centre on Migration, Policy and Society (COMPAS), University of Oxford. “This important study provides a perceptive and comprehensive overview of the Nigerian immigrant experience in Greece. Creatively combining interviews with survey and census data, Fouskas vividly recounts the hopes, dreams, fears, trials, and triumphs of this emerging ethnic community with clarity and compassion. This book will become a reference point for research on low-status work, immigrant organizations, collective organizing, and labor rights in Greece. It not only effectively summarizes what we know about this immigrant group, but also puts a human face to how Nigerian immigrants have quietly, yet profoundly, reshaped Greek society today.” – Reviewed by Van C. Tran, Assistant Professor of Sociology, Columbia University. “Dr Th. Fouskas provides us with a scholarly first-class study of Nigerian migrant labour in Greece. It considerably adds to our understanding and through a penetrating macro and micro sociological analysis deprives us of misconceptions, clichés and theoretical fallacies of the origins, patterns and functions of migrant workers’ exclusion. It is a valuable book for students and experts in migration, community and work studies.” – Reviewed by Iordanis Psimmenos, Associate Professor, Panteion University of Social and Political Sciences, Greece. “Dr. 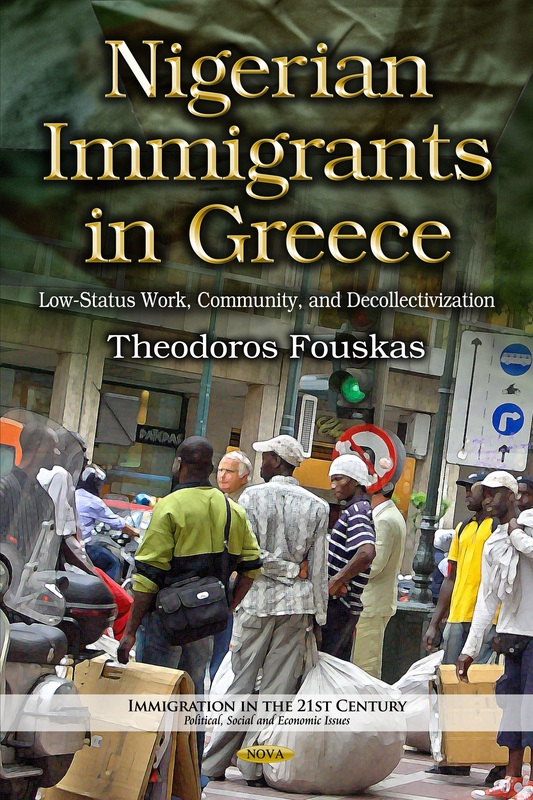 Theodoros Fouskas, with his book Nigerian Immigrants in Greece: Low-status Work, Community, and Decollectivization, has stimulated an imperative discussion of the severe effects of precarious, low-status work on the collective organization of immigrant workers in the 21st century. This well-conceptualized book and unique in-depth research deals with crucial questions and complex issues and offers invaluable insights with remarkable efficiency. It helps fill a significant gap in Greek and international literature and should be recommended to academics, researchers, policymakers and all those seeking comprehension of labor and immigration issues. Its thorough analysis with sufficient clarity also makes it a required source suitable for classroom use. 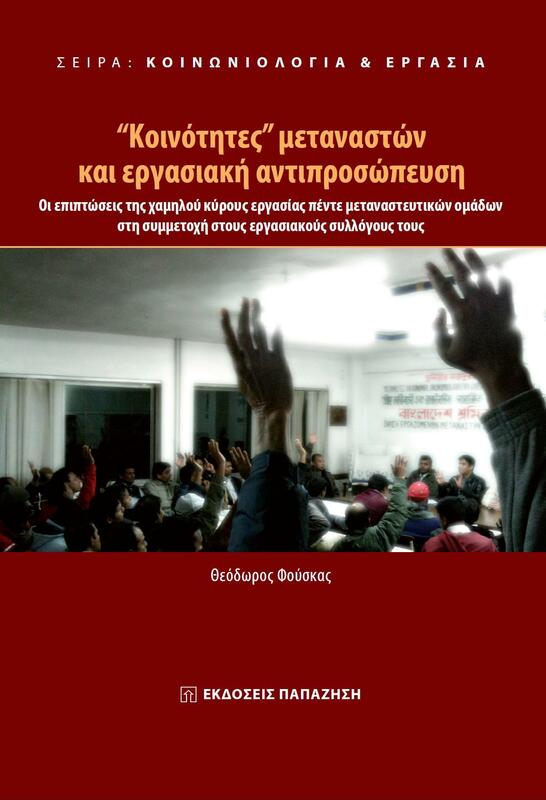 The book contributes significantly to the current discourse concerning the difficulties caused by acute employment precariousness in immigrant community organization, association formation and participation, immigrant workers’ representation, social and labor rights, trade unionism and solidarity and how these should be combated within a contemporary insecure socio-economic context.” – Reviewed by Angelos Syrigos, Assistant Professor, Panteion University of Social and Political Sciences, Secretary General of Population and Social Cohesion, Ministry of Interior, Greece.